I have suffered from dark patches on my underarms since I can remember. They have not always been this way. It all started when I began shaving. Over the years, it has gradually gotten worse and is now a problem I really want to fix. I have read so many stories about other women trying to deal with this issue and there are some women out there who have just embraced it and no longer find it a problem. Unfortunately, I am not one of those women. I am extremely self-conscious and try not to wear many sleeveless tops due to this. I was told that this issue was caused by shaving. So, I decided to take action. I researched and researched and tried so many remedies that people have suggested from lemons, cucumbers, and potatoes - yes, I said potatoes. Apparently, they are all bleaching agents and can over time remove the patches. I tried them all, and they didn't work for me. Maybe I didn't try them for long enough, but my patience was wearing thin. I then thought, maybe trying another form of hair removal would help. 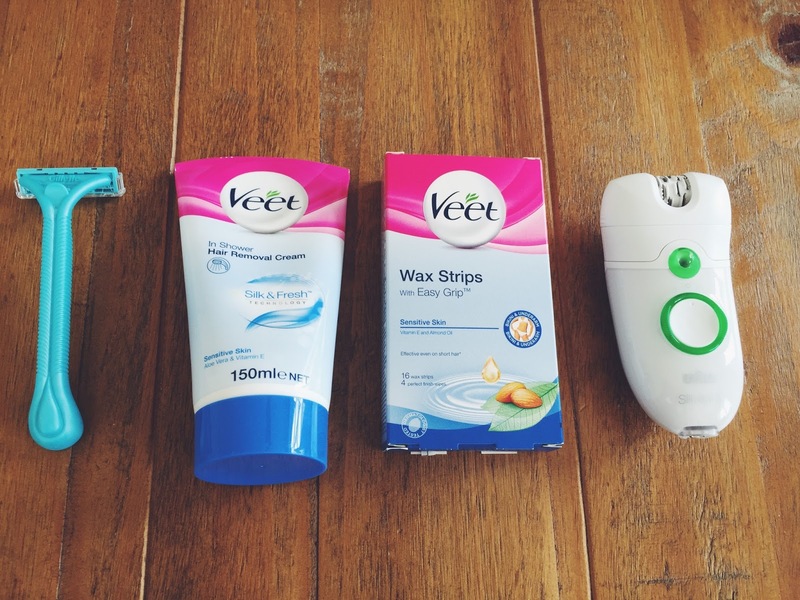 So I tried hair removal cream by Veet - this burnt my underarms. It was so bad, I couldn't put my arms down without being in agony. I think this was due to an allergic reaction - not sure if anyone else has experienced this before? Needless to say, I will never be trying hair removal cream again. I then went on to wax strips, this was okay, but not a long-term solution and annoyingly, they never removed all the hairs. Plus, I found trying to pull the strip off myself was awful because I was anticipating pain, so I don't think I pulled it off quick enough. Finally, I decided to buy an Epilator. I have heard many things about these little contraptions - both good and bad. The bad comments were always how much it hurt to use them. However, there were a variety of people who suggested that they were good and easy to use. I purchased mine from Boots. I clearly was having some luck as they were on offer. I bought mine for £49.99. I think this has been the best thing I've ever bought for hair removal. It's amazing for my underarms and has really helped. My underarm hair doesn't grow back for two weeks. There isn't much pain and the patches have faded. I couldn't be happier and I think eventually, the patches will fade even more. I would definitely recommend this product if you suffer from dark underarms and hopefully, you will find it helps you too.